Aerodynamic dimple pattern provides stability in flight, even in windy conditions. 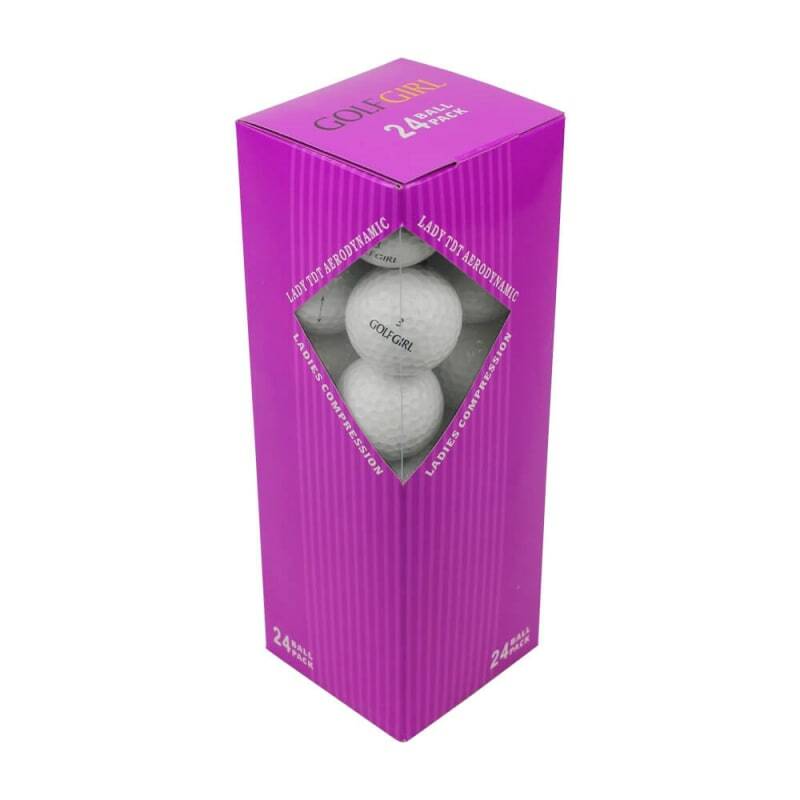 By combining the Surlyn cover with the titanium core, we have developed the Golf Girl tour distance golf ball for the lady golfer who wants a ball that will give excellent distance, soft feel and control. Even better value for money when you buy in bulk.